A truly remarkable achievement which must make Unizik students proud and rightly so.Nigeria is blessed with talent.Its a shame the discovery of oil has made our leaders lazy and not pay any attention to the many sectors in which Nigeria can excel. just good in theory but also in the practical aspect of their studies. 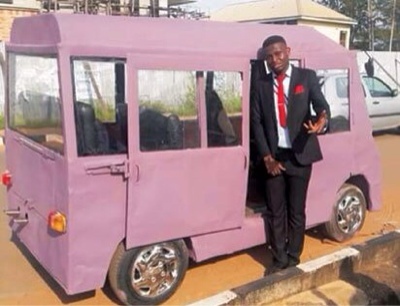 Seven graduating students from the department constructed a “made in Nigeria” mini bus to the satisfaction of the university community. The journey into car manufacturing in the university started last year, when a group of five students from the same department produced aFormula 1 car called AutoZIK. 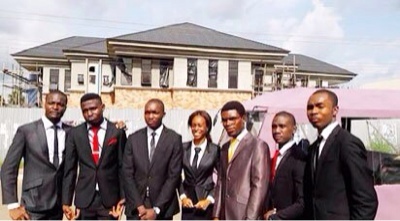 The seven students include Ezeigwe Chitoo, Obinani Victor, Ezeanolue Ifeanyi, Okoro Chinaza, Ominigbo Fidelis, Nwobodo Nnamdi and Ogbu Thaddeus. They were supervised by the Head of the department, Dr. C.H. Achebe. South East Voice learned that the group, which is known as ‘AUTOZIK II,’ spent over five months constructing the mini bus for shuttles within and around the university with locally sourced materials. She disclosed that she had always followed her passion regardless of what people around said or thought. Narrating the success story, one of the engineers, Ezeigwe Chitoo, said that the project was a dream come true. “The Autozik group made the design using CAD software, and all necessary simulation softwares for the analysis, putting the environment into critical consideration. The bus has good seating positions, better fuel conservation, good passenger view and very good aesthetics. It was built to suit the topography of our environment and the weather condition we have in this part of the world,” he said.